Graduate Quantity Surveyor (12 Month Contract) Location - Bath Salary - Competitive + Benefits Our client is a multi-disciplinary construction consultancy and is investing their time in bringing in a Graduate Quantity Surveyor to complete a fixed term contract with them for 12 months. The successful applicant will be looking for a new opportunity once term time is finished and is looking for first-hand experience in a supervisory capacity. Mainly office based with site visits the candidate will be able to learn from Senior Quantity Surveyors on the day-to-day running duties of an experienced professional. Successful candidates could also be given the opportunity to earn themselves a permanent contract should they prove themselves to be a future Chartered Quantity Surveyor. The role of Graduate Quantity Surveyor Main Duties include Completing measurements on projects Shadowing a Senior Quantity Surveyor Undertaking estimate work Conducting post contract work Contract administration Experience required Candidates currently underway in their Graduate Quantity Surveying degree Full UK Driving Licence Good communication and time management skills Why choose our client? Our client has been a specialist consultancy of Project Management and Quantity Surveying for over 50 years and have expertise in the South West as well as London. They take pride in nurturing prospective candidates especially Graduates, and ensure they fit into their role and that the role suits them as well as the company. As well as offering a market-competitive salary, candidates can work towards the added incentive of earning a permanent contract after their Degree. If you are a Graduate interested in taking a Sandwich year with our client, please call Dario Bharat on or alternatively email him at . We are currently recruiting for a Quantity Surveyor for our Torbay based client. This is a hands-on QS role, and the company are willing to consider applications from semi qualified, and fully qualified candidates hence the broad salary range on the role. They will also consider offering a training scheme for the right individual and would sponsor day release for their Degree Qualification. It's an extremely busy time for them currently, so the ideal would be to have someone who can get stuck in swiftly. Hours of work will be Monday - Friday, 8am - 5pm. In addition to the salary on offer the successful applicant will benefit from generous overall package (car allowance, holiday and pension). You will split your time between the office and sites. Duties associated with the role will include; Preparation of contracts, including details regarding quantities of materials required. Ongoing cost analysis of works. Allocation of work. Site visits, assessments and projections for the future. If you are a fully qualified, or up and coming Quantity Surveyor, apply today for immediate consideration! Our client, a leading regional construction consultancy, is looking for a driven Employers Agent to join there expanding business in Devon. The client is part of many framework agreements, particularly in the social housing sector, and has a growing work load of housing developments. The ideal candidate will come from a PQS or contractors QS background and have a track record of experience delivering projects to the highest standard and within strict budgets. Key Duties Act as employer's agent on affordable housing projects Act as client representative. Leading regular meetings to ensure service levels are met Liaise with contractors to ensure works are completed on budget and on time Experienced in working under JCT D&B form of contract Develop your own existing client base and new clients through business development opportunities Key qualifications, Degree qualified. The desire to become chartered if not already. Standalone experience working within the affordable housing sector as a PQS or contractors QS CDM-C knowledge is desirable Up to date knowledge of current building regulations The ideal candidate will have a detailed understanding of the local market and have network of contacts. In return for your hard work the client offers significant prospects for advancement within the company as well as an open culture focussed around team work and staff development. For more information on this role and others we may have please call Matt Steggles for an informal chat. Due to the high number of applications, if you have not received a reply within 7 days, please assume you have not been successful on this occasion. We will keep your details on file for future, more suitable roles. Thank you. Girling Jones Ltd is acting as an Employment Agency in relation to this vacancy. Are you an ambitious Quantity Surveyor with construction consultancy experience looking for an opportunity to play a leading role in the development of an already successful business? Girling Jones have been instructed by a niche construction consultancy to find an experienced MRICS Quantity Surveyor to take their business to the the next level. My clients are already established across the private sector with work coming form residential and commercial projects and they are looking to build on that base and develop a diverse pipeline of work. You will be an established MRICS Quantity Surveyor ideally with good knowledge of the south west market. You will be comfortable developing business, leading a team and will have a solid contact base. You will be motivated and ambitious to see your self as a director in the next 18-24 months. You will be a technical expert able to guide clients and colleagues through complex projects. You will have a degree in quantity surveying or related discipline. MRICS status is preferred but most important is the ambition and drive to develop a business in the heart of the south west. A competitive salary and market leading bonus scheme is on offer to the successful candidate. For more information and an informal chat to discuss the role please call Matt Steggles at Girling Jones Girling Jones Ltd is acting as an Employment Agency in relation to this vacancy. Are you a Senior Quantity Surveyor based on the South coast looking for a new challenging project? Bournemouth and Poole Hospital joint venture project could be the right next step for you. Why join us? Since 1869 we've worked on building and civil engineering projects that have set the standard for others to follow - right up to present-day examples like the Eden Project, Olympic Stadium and award-winning new Bloomberg building. As we celebrate our 150th anniversary, we're looking forward with excitement to the projects and opportunities ahead. Our family-owned business is where to achieve more from your career by proudly building Britain's future heritage with us. The Senior Quantity Surveyor role The £200+ million project involves significant refurbishment and remodelling work across the 2 sites including transferring maternity to Bournemouth, creating Urgent care at both locations and additional theatre capacity at Poole You will manage a range of commercial aspects including procurement, tendering, contract administration, variations and management of subcontract works packages through to final account. You'll be keen to minimise risk, cost and maximise value by cost checking and analysis of labour, plant and materials. Your profile • You will be degree qualified in Quantity Surveying/Commercial Management or a related subject • You'll have prior main contractor experience on complex construction projects working as part of a larger commercial team. • You will have knowledge and experience working on a P22 contract Rewards We're ready to invest in you and your future, and offer wide-ranging, performance-related progression opportunities. Our competitive rewards packages feature flexible benefits to fit your lifestyle and priorities. We'd love you to join us in proudly building Britain's future heritage. Apply online now. Sir Robert McAlpine is focused on being a truly inclusive employer. Our client, a leading regional construction consultancy is looking for an Employers Agent to join there expanding business in Devon. The client is part of many framework agreements, particularly in the social housing sector, and has a growing work load of housing developments. The ideal candidate will come from a PQS or contractors QS background and have a track record of experience delivering projects to the highest standard and within strict budgets. Key Duties Act as employer's agent on affordable housing projects Act as client representative. Leading regular meetings to ensure service levels are met Liaise with contractors to ensure works are completed on budget and on time Experienced in working under JCT D&B form of contract Develop your own existing client base and new clients through business development opportunities Key qualifications, Degree qualified. The desire to become chartered if not already. Standalone experience working within the affordable housing sector as a PQS or contractor's QS CDM-C knowledge is desirable Up to date knowledge of current building regulations The ideal candidate will have a detailed understanding of the local market and have network of contacts. In return for your hard work the client offers significant prospects for advancement within the company as well as an open culture focussed around team work and staff development. For more information on this role and others we may have please call Matt Steggles for an informal chat. Due to the high number of applications, if you have not received a reply within 7 days, please assume you have not been successful on this occasion. We will keep your details on file for future, more suitable roles. Thank you. Girling Jones Ltd is acting as an Employment Agency in relation to this vacancy. Quantity Surveyor The Client: One of the region's leading main contractors, with over 100 years of history delivering a range of complex and bespoke schemes across Suffolk, Norfolk, Essex and Cambridgeshire, across the high-end residential, commercial, education and heritage sectors. With a truly enviable reputation for master craftsmanship and a skilled trade workforce, there are few other regional builders in the area that can demonstrate this calibre of pedigree. The Role: Purely due to expansion and an increasing project workload, an exciting opportunity for a Quantity Surveyor has arisen. This is a truly unique opportunity to oversee an exciting local portfolio, with a repeat client base consisting of some of the most interesting projects across the region. With a large presence in the heritage sector, you'll also have the opportunity to get to grips with some of East Anglia's most iconic and historical buildings. Responsibilities: - Cost management of a range of exciting projects, covering the commercial, education, refurbishment, heritage sectors and more. - Forecast, monitor and maintain cash flow to ensure it is maximised effectively and projects run to budget. - Attend and host key meetings internally and externally, maintaining professional standards and promoting the company's standards and values at all times. - Report writing and subsequent presentation to senior management, demonstrating project progress financially. - Be aware of, and take the lead on, contractual interests and ensure that delivery teams are at all times advised and aware of key requirements Qualifications & Experience: - Degree qualified in Quantity Surveying, or a related Construction Degree - A demonstrable background of leading general building projects from a commercial standpoint within main contracting, ideally on projects up to c. £8m - You'll ideally be situated locally, in the Suffolk area, and have an understanding of the region geographically What to do next: If you are looking for a new opportunity and this role is of interest, apply via the link below and we look forward to discussing the role in more detail with you. If this role is not for you but you are interested in hearing of different opportunities, we'd still be keen to hear from you, so please get in touch on the number provided. Please note, all applications are held in the strictest confidence. Senior / Managing Estimatior The Client: One of the region's leading main contractors, with over 100 years of history delivering a range of complex and bespoke schemes across Suffolk, Norfolk, Essex and Cambridgeshire, across the high-end residential, commercial, education and heritage sectors. With a truly enviable reputation for master craftsmanship and a skilled trade workforce, there are few other regional builders in the area that can demonstrate this calibre of pedigree. The Role: Purely due to expansion and an increasing project workload, an exciting opportunity for an experienced, ambitious Senior / Managing Estimator to oversee all pre-contract activity for a wide range of building schemes alongside the current Estimating Director has arisen. This post will act as a focal point for all pre-contract activity within the business, identifying and developing new opportunities, through to securing them via competitive tender. Responsibilities: - Oversee all tender and bid activity including pricing, preparation and submission, ensuring accuracy and quality, from initial enquiry and take-offs - Opportunity to manage and oversee the existing estimating team, offering guidance, advice and training as the department steadily grows around you, while maintaining a hands-on role - Provide detailed breakdowns of tenders to directors and clients, including analysis of risk and opportunity - Obtain best value sub-contract and supplier prices in order to maximise value for money within secured works - Procurement of sub-contract works including documentation and compliance - Hold and attend regular tender review meetings, become a focal point for developing business opportunities with clients - Effective communication with clients, suppliers, external consultants and colleagues through to senior management. - Promote the company and develop Framework and Negotiated opportunities. Qualifications & Experience: - Degree in Quantity Surveying, Construction Management or an equivalent Construction-related qualification - Minimum 10 years previous experience within general commercial main contracting - Previous managerial experience within a pre-contract function - Good knowledge of multiple subcontractors, trade contractors and suppliers. - Good written and verbal communication skills in English. - IT literacy (IT based or traditional skills welcomed) What to do next: If you are looking for a new opportunity and this role is of interest, apply via the link below and we look forward to discussing the role in more detail with you. If this role is not for you but you are interested in hearing of different opportunities, we'd still be keen to hear from you, so please get in touch on the number provided. Please note, all applications are held in the strictest confidence. Assistant Quantity Surveyor House Builder - New Build Salary Negotiable Bedfordshire A nationally recognised, house builder are seeking to appoint an Assistant Quantity Surveyor to work on multiple unit traditional build developments across Bedfordshire and surrounding areas. The Assistant Quantity Surveyor will be responsible for assisting on a number sites across the region. Autonomy will be given at times, with training and development provided for the majority of the role. The successful applicants will be an experienced Assistant / Junior Quantity Surveyor who can work well on their own and in a team environment as well as previous experience working on similar scale residential developments. This is a permanent position with my client looking for professional and reliable Quantity Surveyors who want a long term career with them and would be ambitious for career progression. If you are looking for a confidential conversation about your next move, please call Russell at i-texo recruitment or apply directly to this advert. I am working in partnership with a with a Tier 1 regional contactor based in Wiltshire who are looking for a Senior Quantity Surveyor on a permanent basis. Although their business is predominantly across the Bristol and South West area the first project will see you managing a high profile 18-month project in the Dorset area.I am working in partnership with a with a Tier 1 regional contactor based in Wiltshire who are looking for a Senior Quantity Surveyor on a permanent basis. Although their business is predominantly across the Bristol and South West area the first project will see you managing a high profile 18-month project in the Dorset area. Working with a well-known utility provider you will be managing this project which will see the undergrounding of transmission lines enhancing the natural landscape across the Dorset region. Reporting into the Commercial Manager you will act at the sole QS managing both pre & post contracts works on the duration of the project. Once this role is complete you will move to other Civil related projects across the South West region. As a Senior Quantity Surveyor you will: Be responsible for overall financial control of any given project from Pre-Construction to Completion stage Oversee the running of a team of sub-contractors and resolving any issues Interpret briefs from the client or Senior Management and convert into a delivery plan. Coordinate change control and risk processes including identifying, raising and pricing early warnings in line with the change control and customer sign off process. Ensure contractual entitlement and adherence to contractual timescales. Cost Management and Final Accounts Provide commercial and contractual support to clients. Offer support and training to less experienced members of the team. Our client is looking for someone with: Experience as Senior Quantity Surveyor within the Civils Industry A degree or similar technical qualification in a relevant subject (preferred) Good management skills and a track record of delivering results. Experience of managing projects in excess of £15M Demonstrable experience of commercially managing projects from inception through to completion. Benefits: Company Car/Car Allowance Healthcare Training and progression Pension £45,000 - £60,000 If you would like more information, or to apply for this vacancy, please contact Lisa McNulty. The reference for this vacancy is 128752. We are always looking for candidates for similar positions, so please register your details with us to hear about similar opportunities that you may be interested in. Abatec Ltd. is working as an employment agency on behalf of a client. batec are currently recruiting for a Quantity Surveyor to join our client, a leading international infrastructure group on a £20M highways project in Somerset. The project includes a new junction, earthworks and demolition of existing construction and the successful candidate will take responsibility for both pre and post contract work.Abatec are currently recruiting for a Quantity Surveyor to join our client, a leading international infrastructure group on a £20M highways project in Somerset. The project includes a new junction, earthworks and demolition of existing construction and the successful candidate will take responsibility for both pre and post contract work. As a Quantity Surveyor you will: Ensure all duties are carried out in accordance with standard company HSE procedures and work instructions. In conjunction with the relevant Project Management team member(s), be accountable for the profitability of the project(s) and develop an appropriate commercial strategy for the project(s) to ensure delivery of required margins. Contribute to the management and maintenance of a contract cost reporting system ensuring all financial information is managed and up-to-date and tracked with budget/tender allowances, commitments and deviations highlighted and managed. Continually monitor projected costs to completion in line with budget. Ensure that necessary interface information between customers, sub-contractors and other departments is provided in a timely manner. Monitor cash flow and valuation plan, ensuring applications are made correctly and in a timely manner. Ensure contract variations are identified, valued and turned into agreed variation orders with the customer in a timely manner. Assist in ensuring effective records are maintained to support claims and that applications for payment for variations are issued in a timely manner. Manage the subcontract tender process, including the selection of sub-contractors and provision of all relevant contract and schedule documentation. 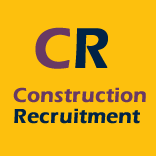 Our client requires a Quantity Surveyor with: Previous experience in Quantity Surveying within the Civils Sector ideally with highways Membership of a relevant professional body and/or relevant professional qualification is desirable, such as ICE/RICS. Sound working knowledge of construction and contract law and various forms of Conditions of Contract. Detailed knowledge and understanding of tendering, procurement and sub-contractor management Salary £40,000 to £50,000 £4000 car allowance Healthcare 25 Days Holiday If you would like more information, or to apply for this vacancy, please contact Lisa McNulty. The reference for this vacancy is 128859. We are always looking for candidates for similar positions, so please register your details to hear about similar opportunities that you may be interested in. Abatec Recruitment is working as an employment business on behalf of a client. As a result of expansion, a Quantity Surveying/Project Management practice in Bath are looking to procure an Assistant Quantity Surveyor. There's a team of 5 currently with a great mix of experience from Graduate up to Partner level. One of the Partners is an APC assessor and runs mock APC interviews for the Graduates, as well as a weekly training session on a particular APC module. They focus on the education, residential and industrial sectors, working on a range projects from £750,000 up to £10m in value. A fantastic opportunity to get involved in a growing consultancy and take advantage of the APC support on offer. We're looking ideally for someone with a couple of years consultancy experience that's nearing Chartership. What are we looking for? Construction related degree (RICS accredited) Minimum of 2 years experience and ideally nearing Chartership Motivated and ambitious individuals Excellent communication skills What's in it for you? £22,000-£30,000 per annum Fantastic APC support through Chartership Diverse range of projects up to £10m to get involved in A great opportunity to join a growing consultancy If this role sounds of interest, please click the 'Apply Now' button to be considered. Girling Jones Ltd is acting as an Employment Agency in relation to this vacancy. Site Manager Apartment Blocks Project Location: Luton, Bedfordshire Package - Basic Salary up to £55,000 pa + Bonus A superb opportunity has arisen for an experienced Site Manager to work for a Property Developer on a £30m new build development with over 300 apartments in Luton. My client is only looking for individuals with a stable working history so unfortunately candidates who have worked for several companies in the last few years or are contractors will not be considered. The Site Manager must have experience managing multiple phased sites and ideally worked on apartment block builds. To apply for this role, the Site Manager will need : Site Management experience on timber framed new build and traditional new build projects CSCS First Aid SMSTS (Site Manager Safety Training Scheme) Effective communication skills with the ability to contribute effectively. Ability to work collaboratively within a team environment, within a large organisation. IT literate (Microsoft office) Any industry related awards would also be advantageous Site Managers responsibilities will include : Lead site meetings with professionals, including quantity surveyors, subcontractors, and the client. Maintaining strict high-quality control, Inspections and regular site safety checks. Ensuring the project runs to schedule and to budget, including finding solutions to problems that may cause delays, i.e. the late arrival of materials etc. If you feel you have the skills and experience required for this position, then apply by submitting your CV with a covering letter addressing the criteria in this brief. Prefer an initial discussion over the phone? Please give Russell Kerley at i-texo recruitment a call in the office. Offering a fabulous opportunity for progression, we are looking for an Assistant Quantity Surveyor to join an existing and busy team based in Sheffield. The Assistant Quantity Surveyor Role: You'll be working closely with the MD and the operational team of this thriving regional contractor where you will help to drive commercial success on projects ranging between £250k - £4m. Assistant Quantity Surveyor skills and experience: You should be able to demonstrate at least two years working in a Quantity Surveyor environment dealing with typical duties including valuations, variations, procurement, measurement/take off of quantities and WIP/CVR Estimating and project management experience would be an advantage If you are looking for an opportunity where you can make a difference while developing your skills, click apply now. We will contact you shortly with further information.